We’re on the countdown to New Zealand Babywearing Week (2-11 October 2015) and we are looking forward to celebrating with you. 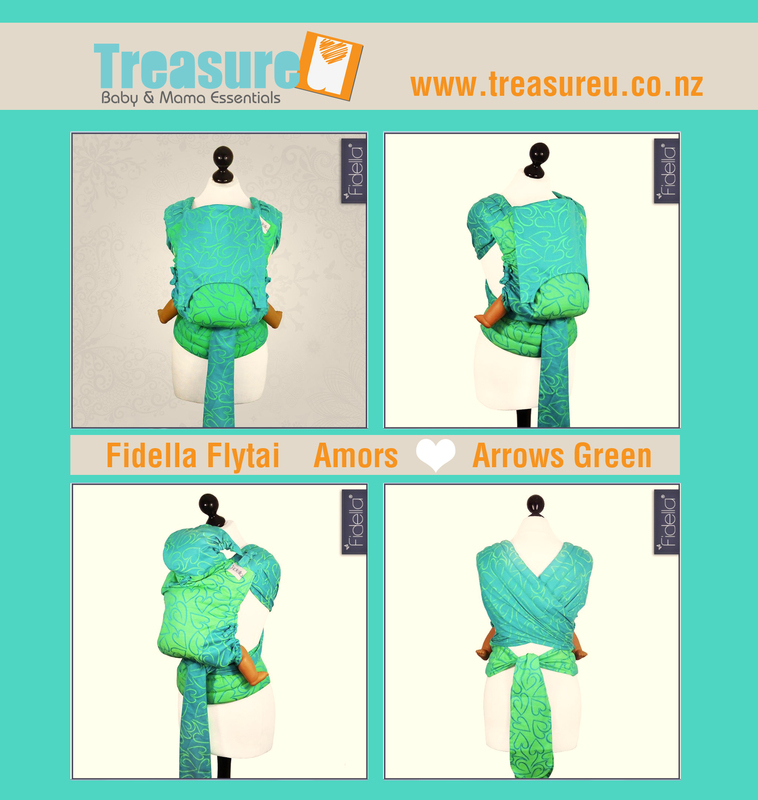 Our next giveaway is a Fidella mei tai courtesy of New Zealand Babywearing Week sponsor Treasure U. The Fidella Mei Tai is very versatile, fully adjustable and can fit children of any size. The Fidella mei tai is a full wrap conversion made out of Fidella’s woven wrap. Infinitely adjustable back panel (24 – 48 cm), fixed by self-locking knot. To be in with a chance to win, like the New Zealand Babywearing Week Facebook page then comment under the post about this giveaway on the New Zealand Babywearing Week page, saying why you would like to win this Fidella mei tai. Like the Treasure U Facebook page and leave a comment to say hi and how you found the page. Leave a comment under this post to let us know why you would like to win this Fidella mei tai. Good luck to all who enter! A winner will be drawn after 7pm on Sunday 13th September 2015. New Zealand Babywearing Week – the countdown is on . . . This entry was posted in Giveaways, Mei Tai and tagged Fidella, international babywearing week, mei tai, New Zealand Babywearing Week, NZ Babywearing Week. Bookmark the permalink. Love love the colour. It’s so gorgeous. Would love to win this so I can keep wearing my daughter. Id love to win this 🙂 my wee man is 15 months old and loovvees to be carried. Oh how I’d love to give this fluff a new home! I have 2 babies 15 months apart and babywearing is a necessity! This would be perfect for one while chasing the other! I would love to win this lovely Fidella mei tai to send to my sister for her to wear her little man. Although I’d have to wear it a few times first, it looks too gorgeous not to!! It is gorgeous! Isn’t that reason enough for most things? 🙂 With it I can convince some other parents to wear all their babies. I would love to win because I have never tried a mei tai and it looks so comfy! I would love to win this so I can have a pretty carrier to carry my wee girl in… My other carriers are fairly plain and have been used for my four bigger kids over the last 7 years. I would love to win this mei tai because I love the colour green and have a newborn who I wear every day so another carrier option would get lots of use and love. My favourite colour and my little man is starting to get too big for his other one. I would love to win this for miss 11months. Then we could give our mei tai away to someone in need.